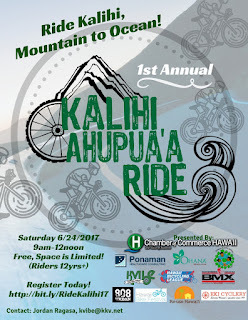 Kalihi Valley Instructional Bike Exchange (KVIBE): Official Aloha Saturday Press Release. Official Aloha Saturday Press Release. 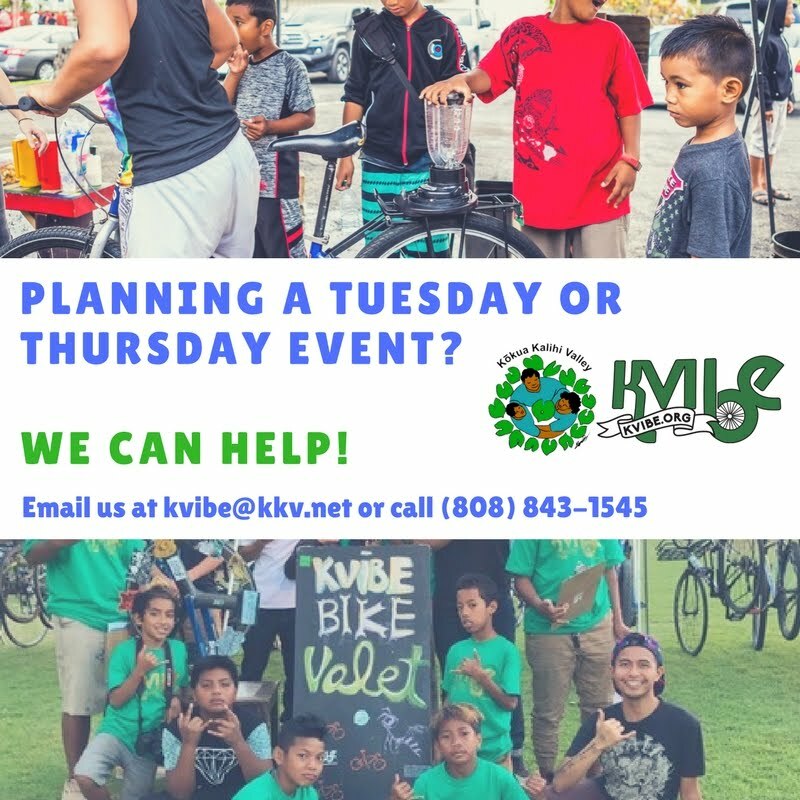 On June 16, 2012, Kalihi Valley Instructional Bike Exchange (KVIBE) will host “Aloha Saturday.” The event will take place at KVIBE’s warehouse located at 1638 Kamehameha IV Road from 10AM to 5PM. Aloha Saturday will kick off a summer full of bicycle gatherings at KVIBE. Working in partnership with Aloha Fixed and the Kickstand, Aloha Saturday will feature GoldSprint races, HNL Bike Polo exhibitions, and a “best in show” bike contest. GoldSprints allow two participants to race each other via bicycles mounted on rollers, as a computer tracks their progress and projects the data on a screen. HNL Bike Polo is a local organization of cycling enthusiasts who meet weekly to practice the exciting sport of bicycle polo. All major local bicycle shops will be graciously sponsoring the event with prize incentives.